Leucanthemum x superbum ‘Becky’ was developed by Jim and Becky Stewart of Decatur, GA and was the Perennial Plant Association Plant of the Year in 2003. 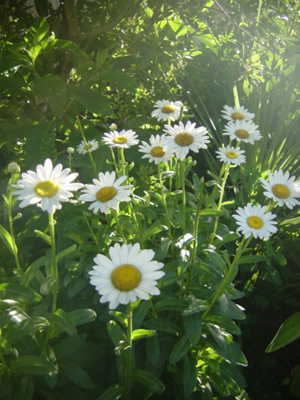 The Shasta Daisy has large white flowers with yellow centers, typical of daisies and are great as cut flowers. The flowers will attract butterflies and appear from early summer to mid fall. This is an excellent perennial for southern gardens as the foliage remains evergreen in warmer climates.